This post contains Computer General Knowledge Questions and Answers for NTS, PPSC, CSS, FPSC, PMS, OTS, PTS Online Test and Interview Preparation. This is the 8th Part of this Computer Quiz Series. MCQs are taken from Caravan Comprehensive General Knowledge Book. Vist This for more Computer Science Multiple Choice Questions. Couting of MCQs is starting rom No.116. 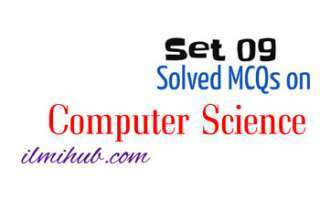 Previous Set of MCQs is available on This Link. 116. The program used to browse disks, folder and files is called _______. 117. The latest computer is called ______. 118. A combination of 16 bits is called __________. 119. The Unit that controls all parts of the computer is _______. 120. 1024 bytes equal to ______. 121. What is an organization’s introductory webpage called? 123. Which country’s people use more internet? 125. The second largest search engine of the internet is _______. 126. The Internet is mostly used for ______. 127. Which country has more computers in the world? 128. Name of the great Muslim scientist who was considered as one of the founders of the computer. 129. Name of the owner of the Microsoft computer company. 130. Which is the biggest company of the computers in the world? This Link will bring you to the next set of General Knowledge Computer Questions. If you find any mistake in any questions of this Computer Quiz, inform us in comment section.